Exactly 200 years ago today, July 18, 1817, my favorite (deceased) author Jane Austen died. In honor of the bicentennial, Husband and I rewatched all of the screen adaptations that we could easily get our hands on. Screencap from the JASNA (Jane Austen Society of North America) web page. All in all, we saw 17 adaptations. In the weeks to come, I’ll post some mini-reviews. I’ll treat them in clusters based on the original Austen work; in other words, every adaptation of Emma we saw is discussed in one post, etc. The links lead to my mini reviews. We wanted to stick with versions of Austen’s novels instead of just anything Austen-related. 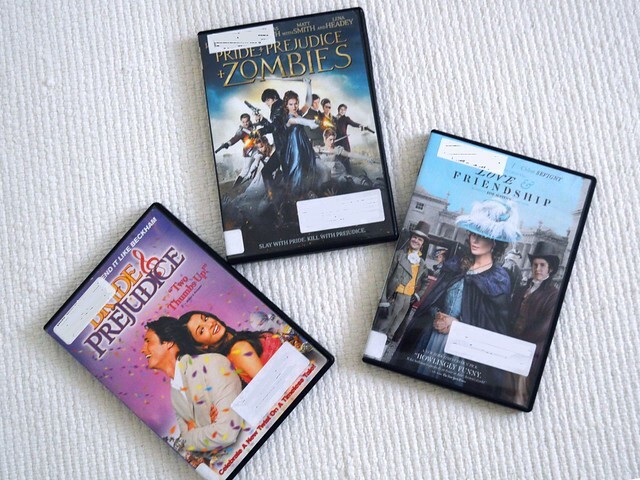 That meant that the biopic-ish Miss Austen Regrets (2008, with the excellent Olivia Williams as Jane Austen), the fun Death Comes to Pemberley (2013) and Austenland (2013), for example, were out. Please feel free to follow along and comment on your favorites! 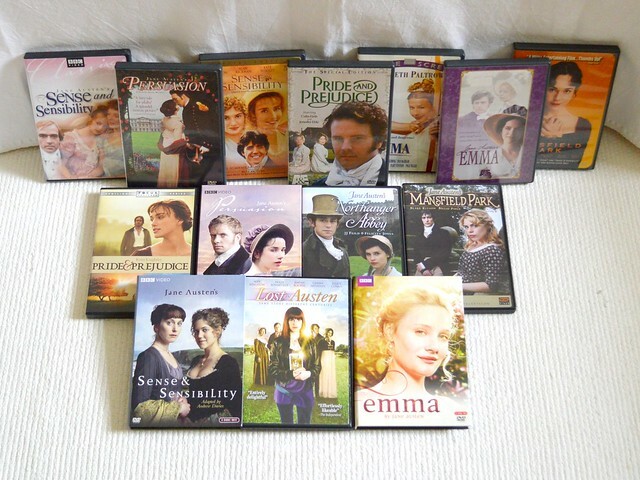 I have nearly all the Jane Austen adaptions, (the ones easily found anyway). Which adaptions did you think were best overall and which did you think worst? Personally, I found the mansfield park ones were the most disappointing overall, not one quite captured the book. On the other hand, I thought all the sense and sensibility ones really good. My favorite novel is Sense & Sensibility. And yours? I think Mansfield Park and Northanger Abbey could use a new adaptation; they seem pretty consistently to get the short straw. Mine is Persuasion, closely followed by Mansfield park and P+P. Agreed, Persuasion is also wonderful. The older I get, the more I appreciate Anne being older than the other Austen heroines.